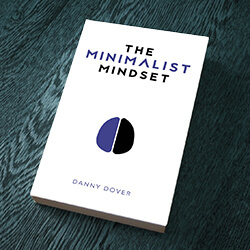 You do not need to be a nudist to be a minimalist! Minimalism is about living more with less but it doesn’t mean living without anything. Clothes are absolutely essential. They are also worth minimizing. This is a sample from my upcoming book about how sane people can make minimalism part of their lives. If you are interested in reading more, check out the details here. Clothes are instrumental in the first impressions you make upon others and they are key to living a healthy and productive life. It is the fact that clothing is essential that makes it so easy to accidentally over own. Since different items of clothing can express different messages and serve different functions it is a natural tendency to prepare for every possible situation with an overabundance of clothing options. This is problematic for one not so obvious reason. The first reason over-owning clothing is a problem is that full closets require a whole lot of mental energy to utilize and maintain. How often have you asked yourself what you were going to wear on a typical day? This question takes creative energy that could otherwise be used on more productive tasks. How often have you looked at your closet and felt a twinge of stress concerning your complicated clothing options. This stress will only build if you don’t do anything about it. So what can you do about the natural problem of owning too much clothing? The answer, like many common problems, is to minimize. I’ll warn you, this is a difficult plunge to take. Clothing has a lot of sentimental value. For most people, clothing and books are the two hardest items to purge. Like most improvements in life though, the hardest tasks offer the biggest rewards. What clothing do you wear the most? What clothing have you not worn in over six months? What clothing have you not worn in over twelve months? What clothing has extreme sentimental value to you? What are your work clothing requirements? What are your social clothing requirements? Take some time, mine your closet or drawers and be honest with yourself. You need to think through these questions before you can be successful with the actions that follow. Now is the time to take action! You have four main actions that you need to do. Let’s jump in! Your first action is to take out all of the clothing you own and spread it out over an open space. Free your clothing from the crevices of your drawers and unreachable corners of your closets. The odds are high that you own clothing that you don’t even know about. You want to see your whole inventory out in the open. After you freed your clothing and gazed upon your collection, it is time to start sorting. Next, take all of your extremely sentimental clothing (wedding dresses, high school jerseys, family heirlooms, etc) and put that in your “Box” pile. Don’t worry, you will be keeping these items too! We will cover this pile in depth in the “Box Method” section. Next, take all of the items of clothing that you have not worn in 12 months and put them in the “Trash” pile. If you have seasonal items (like snow clothes) that you haven’t worn in a year but are not yet ready to get rid of, put those in the “Box” pile. This will leave you with the clothing that you have not worn in the last six months. Now you are at the hard part. Think about what is absolutely required of your clothing (be honest about this!) from work and your community. What can you do without? Remember, extra clothing fills up more than your drawers and closets, it also takes up valuable space in your mind. Start paring down your clothes by sorting these items between your “Donate”, “Box” and “Trash” piles. This process usually takes a long time. Take the time to enjoy the process as much as possible. Digging through old clothes typically brings up old memories. Take time and appreciate both the good and bad memories. Clothing is very personal and very important to how both we see ourselves and how others see us. While sorting through these clothes and memories can be hard, it also has the very real power of being freeing. 1. Think about how the clothing made you feel when you bought it. 3. Acknowledge that the clothing has served its purpose by granting you that feeling. 4. Put the article of clothing in the “Donate” pile. Remember, past purchase decisions do not need to control your ability to minimize in the present. Appreciate (or laugh at) your prior self and take action to build a better more simplified life going forward. After a lot of hard work on your part, you should reach a point where all of your clothing is sorted into four large piles. Take the items in your “Keep” pile and put them back in your closets and/or drawers. Take the items in your “Donate” pile, put them in bags and set a time on your calendar to donate these items. You can donate these either to a charity or to friends. The important part though is that you schedule a time to do this and stick to it. You do not want to continue to store these items. Next, take the items in the “Trash” pile and put them into bags or boxes. Take the time right now if possible to actually put these in the trash. You want to be rid of these things as quickly as possible. This should leave you with only the items in your “Box” pile. This section is an unintentional cliff hanger. I haven’t written it yet! (Did I mention the book is not completely done yet?) In the mean time, you can read a little bit about this method here. The most powerful single action you can take with your clothing is to consolidate brands and types. The normal wardrobe is like a patchwork quilt. People tend to have a multitude of types and styles of socks, shirts and underwear. While diversity can be good, in the case of clothing it can also be an unnecessary pain. Take the common chore of sorting your socks after doing laundry. This task is never done (like laundry itself) and adds very little value to your life relative to the amount of time it saves. Now imagine if you just had two styles of socks, casual socks and business socks. If you intentionally made it so all of your casual socks were all of one brand, size and style and your business socks were a different brand/style but also of the same type relative to each other. Think about how easy and fast sorting would become! All of the casual socks would be interchangeable and all of the business socks would be interchangeable. Sorting would only take seconds and would clear up time for you to use your mind for actually important things! You can do the same for your underwear and certain types of accessories (pantyhose, cuff links, etc). But what about shirts and pants? Narrowing these down to one color and style is overkill for most people. Instead, focus on consolidating brand and fit but not color or style. If you find a shirt that fits you perfectly, buy it in several colors and style. Likewise, if you find a pair of jeans that fit you just right, consider buying a couple pairs from the same brand. (This is of course to replace for your other clothes. We want to minimize here!) You certainly don’t have to replace all of your clothes with a single brand and style (you are not a robot) but you should focus on condensing your wardrobe. Still skeptical? Consider how doing this might positively impact your life. How long and how much creative energy do you spend in the morning deciding what to wear? How much time do you spend sorting laundry? Even if it is not a lot individually, the amount of time and more importantly, energy that those tasks take, adds up quickly. This is time, energy and money that is right there waiting for you to reclaim. Nobody expects you to be an extreme minimalist alien robot super hero! You do not have to eliminate all of your stuff in one go, doing so would be insane and incredibly stressful. Instead, it is much more healthy and reasonable to do one big purge and then schedule mini-purges going forward. I recommend doing small purges every Sunday. I call these Donation Sundays and they are as simple as picking one item of clothing and either donating, gifting to a friend or throwing that item away. This will keep up the momentum of your big purge overtime. Doing these reoccurring purges also has the added benefit of fighting the inevitable creep of new clothing that somehow makes its way into all of our lives. Being a minimalist is not simply an act done once, it is an active lifestyle that requires maintenance. You are all seeing this before even my editor :-p If you have any feedback or comments, please let me know now. It is much easier to improve and change this content while the book is still in draft form. If you are interested in learning more about the book, check out the details here.